We offer gloss encapsulated laminating services for photographic prints at the time of order, so save yourself the hassle and leave all the work to us. Fast turn around on high volumes/bulk laminating at very reasonable pricing means you can get your school and event group shots packed and ready to go with time to spare! All hot laminated prints are encapsulated in a high quality 100 micron gloss film and trimmed to size. 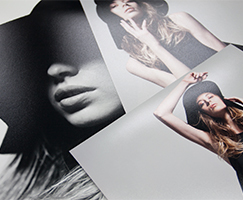 Hot laminating is available for any true photographic prints up to 12 inches wide. For any further information please contact us. You can view all of our product prices within the Streets Online Ordering Software (SOOS) here or contact us for a quote. 1-3 business days in lab dependant on quantity.